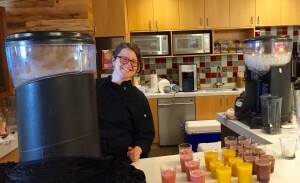 Refreshing and healthy fruit smoothies are a unique option for your event. 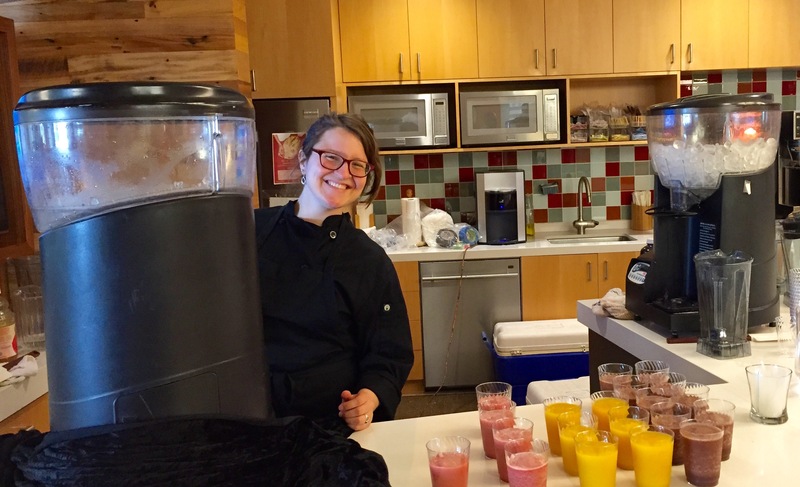 Gourmet Cafes’s smoothie catering service has poured out smoothies for company meetings and picnics, school events, summer parties, and health club openings. Our all-fruit smoothie base is blended with ice in our commercial Vitamix blenders to make a frothy, delicious beverage. We have a variety of flavors available: our most popular include strawberry, wild berry blend, and mango. Looking to kick it up a notch? We can also make virgin or alcoholic frozen beverages like daiquiris or margaritas. Frozen drinks add a festive touch to a wedding, barbecue, luau or pool party.